Business communications often include data: amounts that are quantifiable to a greater or lesser degree of accuracy. Quantifying things goes to the very heart of what a business does – generating sales, maximising profits, inputting inputs, delivering outputs, measuring response rates / interest rates / business rates. Little gets changed unless the benefits can be quantified. Using relevant data in your pitch can make a case more strongly than just words ever could: providing you get it right. Too often we spend time gathering the data, then fling it together the night before hoping that the “figures will speak for themselves”. Well they might – if everyone was awake to hear them. NOW I see the problem! How long has THIS been going on? THERE is the opportunity! How come we didn’t see THAT before? THIS is what we have to fix. Let’s get a project manager onto it! Putting together a presentation with that kind of power and persuasion will ensure backing for your proposition and make life a whole lot easier. 1. Figure out what you want your audience to do as a result of your presentation. Then work back from the end point. 2. Use data that is relevant, credible, and supports your message. If it has deficiencies, decide whether they are important and whether better data is available. Show your data sources, admit deficiencies, and make recommendations based on the picture as you see it. 3. Interrogate the data until YOU understand what it means. Numbers represent things – behaviours, estimates of behaviours, actual or imagined sales, whatever. Understand the numbers, ask the data difficult questions, and consider the probability of your numbers being right. 4. How can you present the data to communicate the message? Consider graphs, timelines, maps, diagrams or symbols that let the data tell a story. Do you need the actual figures to support a graphic? Do you need a graphic at all? Where should your “ah-ha” moments show up? 5. Stand back and squint. Through half closed eyes you will see the patterns in the data and the graphic. What does it communicate from a distance? Consider the order of your data to ensure it shows your audience what you want them to see. 6. Edit, revise and amend until the data is convincing. Only then add the words. Then enjoy the ah-ha’s as they ripple round the room. As I drove to work this morning I heard an interview on the radio about a public services reform report. The organisation that had produced the report was asked, very reasonably, what data it was that supported their recommendations. “Oh, a study done some years ago” was the quick response before she swiftly moved on to other points. It was a far from convincing reply which the presenter kindly did not press. It left me feeling that this report did not stand up to scrutiny, and that the organisation had missed a big opportunity. I’m fond of a glass of wine with dinner. During my younger days I was fortunate enough to work with some really talented people in the wine industry. So for me a sociable bottle of wine is both a great pleasure and a source of interest and nostalgia. Now that my younger days are almost behind me, however, I am faced with the inescapable but boring fact that one or two glasses of wine does nothing for my performance the next day. It’s not a hangover but neither is it a bounce-out-of-bed-and-go-get-em kind of feeling. A glass of wine simply slows me down a little. Tomorrow is the first day of Lent – traditionally a time of fasting or abstinence - the forty days and forty nights before Easter. As Lent does not include Sundays, it is almost 7 weeks. So, you’ve guessed it –that’s 7 weeks without alcohol for me. Although blogging about it on Getting to Excellent isn’t exactly News at Ten, I am hoping that by going public with my resolution, my resolve will be strengthened. On verra. The Church of England is Twittering about Lent http://www.cofe.anglican.org/news/pr2109.html . Whatever next? With just 10 followers as I write, I hope their message of simple acts of generosity gathers greater momentum. On a more commercial note, not drinking alcohol has a bigger following than one might imagine. David Beckham, Prince Andrew, A A Gill, Russell Brand (really?) and Donald Trump are all teetotal. In fact the list is so long, I’m beginning to think I am in a bit of a minority. http://en.wikipedia.org/wiki/List_of_teetotalers . So from both a spiritual and a performance point of view, I hope that the next forty days and forty nights might teach me something. And I’m sure my friends hope that I can pull the whole thing off without whingeing too much. 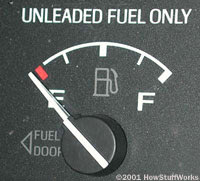 The fuel gauge is the part of my car’s dashboard I look at most often. It doesn’t need much explanation - if I drive for too long, and don’t fill up, pretty soon I’ll be on empty. So even I watch the fuel gauge and reluctantly pull into a garage to top up every now and again. Fuel is one of the main inputs to a car’s engine – there are others, but fuel is the one that runs down most quickly, and costs most to replace. So it comes as no surprise that car manufacturers put the fuel gauge in a prominent position. Businesses also need to monitor the things that make them run effectively and efficiently. The first and most obvious place where this analogy breaks down is that with a car you can for the most part just keep an eye on the fuel, and be reasonably sure of reaching your destination. Yes, I know petrol-heads, I’m supposed to watch oil and stuff like that too, but let’s not get too technical. With a business I could not possibly say that one single input can be watched at the expense of all others. Whilst training might be important, it cannot be reasonably be the only input. There will be many inputs, many different types of fuel. But if I can identify and measure the top few inputs that make the biggest contribution, I will be in a better position to know when and where to divert resources. Some inputs can be accurately measured: the number of training days attended, the cost of a raw material, the number of articles retrieved from a knowledge management system. Whilst they will never correlate exactly with sales or your output measure, when viewed together they will give a clearer picture of the health of the business. Before the analogy police finally lock me up, recessionary times are a particularly important time to keep an eye on the fuel gauge. Whilst the business might truck along for a while on the fuel it filled up on in better times, when the gauge finally hits “empty” there are going to be some sticky moments. Training, marketing, R&D are all fuels that appears to have little effect when the budget is first cut, but the pain is felt later. Keeping an eye on your own internal business fuel gauge could pay off handsomely to keep your business on the road. I’ve heard that the fourth emergency service for businesses is a great deal less efficient than the AA. The world has been seduced by dashboards. At a glance, in colour, and massively visual - dashboards are a successful concept that has gained huge popularity. Executives want them, and IT departments have done their best to oblige. But dashboards are a great deal more complex than their glamorous surface would have us believe. The raw material that is fed into a dashboard is a bunch of numbers. Numbers about sales, numbers about customer visits, numbers about a range of things that are supposedly important to the business. I say supposedly, because there are two ways of approaching a dashboard – with one being vastly more popular than the other. The first is to ask what figures are available, and how can they best be represented on a dashboard. Debates then start about whether to use a pie chart or a line graph, whether it should be just the UK or all EMEA, how much detail should be included, etc, etc. These are mostly closed-loop discussions that often lead to a project, and a dashboard. The second is to ask what the business is trying to achieve, and how it can best be supported in its ambitions. Debates then start about strategy, difficulties in getting information which is genuinely useful, and what the figures really mean. These are mostly open-loop discussions that often lead to more arguments and a general uncomfortable-ness about problems that people feel will take too long to sort out. I recall a case study about a bank that is now far too controversial to name. They went on record as saying that opening up the strategy debate would be too time consuming, and so they would just take the measures they had and report on those. That particular bank has caused more problems to the UK economy than most of the population is happy with. At the time its management was hailed as a great success: we can now see that they were expert in pushing problems under some very expensive carpets. Visuals do help – but the numbers beneath the visuals have to be relevant, accurate, and meaningful. A sale is just a sale, right? Well, maybe. It’s not a sale if revenue is recognised too early, or you don’t get paid. I suggest it is better to open some messy discussions about what the business needs to create real customer value, and which numbers will help to manage that process. Only then is it time to represent your solid and well thought out data in a dashboard. You won’t do it in a day, but you will have a better dashboard, and a better business. Projects I’ve worked on where the upfront work has been done have produced excellent results. Work needs to be done to keep everyone on side, but in my experience it is well worthwhile. Management must trust the underlying data, or they won’t trust the pie chart that sits on top. In these difficult economic times, companies need to be asking where value is being created for customers and what resources should be expended to provide the best returns. More than ever it is a time for good thinking, and asking the right questions. Time for a dashboard redesign? 30 years ago Dan Bricklin and Bob Frankston developed VisiCalc - the world’s first electronic spreadsheet. The basic idea of a spreadsheet hasn’t changed much since, but the functionality has improved enormously. From SuperCalc to Lotus 1-2-3 and then Excel, the spreadsheet has been an immoveable favourite on our desktops. But as revolutionary as VisiCalc was, it was only when the spreadsheet started to get visual that it went mainstream. Charting, graphing, plotting and showing data as pictures moved the spreadsheet out of the accountant’s office and into the marketing department, and indeed most other departments. Numbers were talking a language that people could understand. Microsoft Excel 2007 is the latest in a long and increasingly useful line of wonder-spreadsheets. The oh-so-easy-to-use Conditional Formatting in Excel does a great deal more than Microsoft could ever fit on the box. 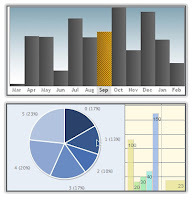 It is no exaggeration to say that Excel is the world’s leading Business Intelligence tool. Anyone faced with a screen full of figures can now quickly and intelligently make sense of them. And I mean quickly. Conditional formatting is perhaps more useful as a personal sense-making tool. With a click and a sweep coloured bars show you how big the big things are and how small the small things are. I could have said that the coloured bars show you how big the big NUMBERS are and how small the small NUMBERS are, but numbers represent things: sales, people, widgets, cases, key words. So what these graphical bars are really telling us is where the problems and opportunities are: where we should direct our energies, or who we should pick the phone up to first. Conditional formatting tells us what’s important and where we can leave well alone. Conditional formatting is also a great presentation tool. It enables figures and graphics to be reported in one hit – a weakness of the traditional graph. Although graphs and charts are worth a thousand words, they also needed a table below it to enable the full story to be communicated. Conditional formatting allows both actual numbers, and the visual representation, to be reported together in a very compact space. Ideal for busy managers, complex reports, and for simply getting an important message across. Consider the key words for this blog. Each time I do a posting the numbers increment on the key words, and new ones get added. After a few postings the numbers start to build. Put conditional formatting against those numbers and they look totally different. I begin to see areas that perhaps should be more central to my blogging, and are presently being ignored. I’m not particularly surprised by some, but importantly I start to look at the key words differently. Interestingly, the two types of conditional formatting in this example also make me look at the numbers in a different way. With the yellow bars I see a continuum – more of some and less of others. With the traffic light flags I see “high performing” key words and “poorly performing” keywords. They are the same key words, the same numbers, and it’s the same person looking at the data – I just draw different conclusions. If I were using this to explain performance, I would need to think carefully about the presentation. What we measure gets attention, and what we show visually gets us thinking in new ways about what we are doing. As the power of visuals improves in spreadsheets, so does our ability to demonstrate a particular angle of what we want the reader to understand. It’s something to think about when presenting information, and when consuming it. In these days of email, online systems and other e-enabled management devices, the status report has lost popularity. We drown in information, so why would we want more? My management life started with status reports. My monthly report went to the Managing Director and set out the highs, lows, risks and opportunities of the accounts I managed. I was a star when my figures were good, and surprisingly reluctant to put pen to paper when the figures were bad. It is refreshing to see that President Obama is also required to write a weekly status report http://www.whitehouse.gov/weekly_address. Because he is President of the United States it is actually a video – we didn’t have such new fangled things in my day so we typed our status reports. Consider these 6 good reasons for writing, and reading, status reports – from both perspectives. 1. Structured reflection. The writing of a status report requires an hour or so each week to pause and reflect on significant achievements. It gives time to think - if there have been no achievements, why not? How can achievements be reproduced? Reflection is one of the most valuable management tools around, and perhaps one of the most underutilised. Many recommend daily structured reflection, but weekly reflection is achievable even for the busiest manager. Putting your thoughts in writing improves thinking, and provides a summary to look back on each week and month. What were the major accomplishments this week? What are the priorities for next week? 2. Sorting out the significant from the insignificant. Sorting out what is significant and what is not is the key differentiator between the successful and not-so-successful. The formality of the status report requires good thinking about what matters more and what matters less. 3. Connect metrics to activities. A status report has a quantifiable element that reports your key metrics against targets. The link between activities that improve key metrics, and those that do not should become apparent. 1. Understand the other point of view. Getting a considered view of what went well or badly during the week gives a fair indication of where to direct resources. If half the week was spent battling with a problem that could be fixed, maybe something should be done about it. If someone plainly doesn’t know how to overcome a problem, perhaps some mentoring is needed. 2. Identify strengths and weaknesses. A previous post talked about the power of playing to strengths, and the importance of identifying strengths in teams. You are unlikely to get the full story from a status report, but it’s a start. 3. Reminder of key metrics. Although the metrics will undoubtedly be in systems and reports elsewhere, the status report ensures these measures are looked at least once a week. This last point alone will deliver the ROI on the both the reader and writer’s time spent on status reports. Status reports are a bit like exercise – you feel good once you have done them, wonder why you don’t do them more often, and when done regularly will tone your management muscles to peak performance. Oooh, that reminds me, it’s Friday tomorrow – I’d better start achieving something so I can put it in my report …. Do you ever have days when your productivity is so low you wondered why you came in to work? There can be a host of reasons for low productivity – poor planning often being at the top of the list. Sometimes, though, we just get distracted - moving from one thing to another without finishing anything to a high standard. I would love to say I never have days like that – but unfortunately I do. When I realise that my productivity has nose-dived, I have a simple way of getting my efficiency up again. It’s called a stopwatch. 1. I decide what The Single Most Important Thing I should be working on is. I can’t do two things at the same time – so I figure out what is most important. There is no point agonising over it. If there are a number of things competing for my attention, I just decide. But I make a proactive decision and stick to it. 2. Then I define what complete means, and commit to getting the work finished to completion. 3. I get my stopwatch out and set it running. Whenever I stop working on my Single Most Important Thing I pause the stopwatch, and note down the time. When I start working on my Single Most Important Thing again, I start the stopwatch, and note down the time. 4. At the end of the day I analyse how much time I have spent on My Single Most Important Thing, and how much has been spent on Other Stuff. The analysis activity itself is useful – as is figuring out what made up the Other Stuff, and whether it was worth doing at all. The stopwatch method makes me focus. The process of proactively deciding where to spend my time, then measuring how well I am doing, results in better concentration. The stopwatch means I can’t fool myself. Often jobs that I have been putting off actually take a less time to complete than I imagined. The analysis is always illuminating. The difference between a focused day, and a poorly focused day, is significant. It reminds me to organise interruptions more efficiently. I’m bad at saying No, and the stopwatch helps me say – “I’ll come back to you on that later this afternoon” or whatever. 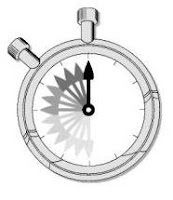 The Stopwatch Productivity Booster method is a personal performance management tool that I use regularly. It’s not expensive, I doubt it is original, but it works for me and when I’ve told others about it I’ve had feedback that it works for them too. Less than one month after Barack Obama announced the appointment of his Chief Performance Officer, Nancy Killefer has been forced to quit. It must be a bitter blow to Obama, as well as an embarrassment. She has been accused of tax irregularities: not paying tax for over a year and a half on household help. As I noted in a previous post, Killefer would have been taking on a big job. Obama must now be realising just how big a job it is. Integrity and honesty go to the heart of any relationship – either personal, in business, or that of a public officer. Part of the job of a Chief Performance Officer is to let everyone understand that the numbers that represent performance have to be real. This is a bigger problem than it looks. Anyone working in a service business who has implemented, for example, a time recording system knows how difficult it is. Problems range from simply fabricating hours worked, to the sheer difficulty of remembering what someone worked on, and for how long. So whilst a database might be filled with realistic looking numbers, they are worse than useless unless they have a close correlation to reality. It therefore goes without saying that the person who holds the position of changing cultures, altering attitudes, improving data integrity, and bettering performance, must be whiter than white. Business school case studies are littered with individuals that thought they were above the law. I am sure some get away with it, but there are many more that end up with prison sentences, tarnished records, and failed businesses. Performance management is about measuring what matters, and then managing what you measure. Figuring out what matters is the first step – and only then deciding how to measure it. This requires good judgement, and a nose for the large and small of what is important. Killefer must be saddened that her lack of judgement meant she was forced to pay such a high price. Had her standards been higher America would have been the better for it. I hope Obama finds a replacement worthy of American citizens and businesses. 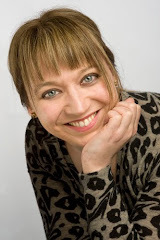 How the Moscow City Ballet reminded me that bringing out the strengths in yourself and others is a great deal more productive than moaning about weaknesses. The week finished as it started, with a visit to the ballet. Moscow City Ballet danced their ballet slippers off in Sleeping Beauty last night. It was enchanting. The corps de ballet were in delightful harmony. The costumes were lovely. The applause was rapturous, loud and long. Watching Moscow City Ballet twice in one week has made me think that Performance Management isn’t only about measures. Performance Management is as much about Management as it is about Measures – you need both. Measuring something that is not up to standard tells you only that - that it isn’t up to standard. It doesn’t necessarily tell you what to do about it (although analytics can sometimes give you a start). While the heavenly Valeria Guseva and her Prince Sergiy Zolotaryov could steal any show, the performance isn’t only about the stars; it’s about the whole production. Moscow City Ballet played to their strengths and brought out all that is great about Russian ballet. Yes, it was traditional, but also had some lovely humorous touches. No, it wasn’t technically daring, but it was well done and all the better for it. And just for the record – Talgat Kazhabayev as the Bluebird was all that a male dancer should be – and more. Oh, those Russians! In business, we tend not to like weaknesses. Yet we all have them, and we all have our strengths too. The counter argument of bringing strengths to the fore I think works much better. Yet often that isn’t what we do. The good stuff we just pass off as “it’s his job” but the poor stuff we complain about. Getting an appreciation of your own strengths, and those of your colleagues or team, isn’t always easy. Unless we are looking out for strengths we can name, they often go unnoticed in the general noise of day to day work. But something special happens when you do identify strengths. Finding that “Mary is particularly good at negotiations”, for example, opens up opportunities. Mary is flattered to be thought to have expertise in this area, and works even harder on it. She is keen not to fluff up a negotiation and so prepares better and works more diligently. As others see her expertise they ask her advice, or let her coach them in negotiations, both the benefit of Mary and the rookie negotiators. How much better is the above scenario than making an example of Hubert who always seems to get it wrong? Bemoaning his lack of expertise, and the time and money wasted through his inept attempts, which may or may not be fixed through training. My guess is that Hubert’s problems with the subtleties of negotiation are because his strengths are of a logical nature. His abilities at maths or complex problem solving might be of huge help to Mary if more were made of them. The difference is only a matter of perspective – looking for, and using, the strengths and qualities in people’s abilities. Our strengths are often deep seated. Whilst education and training undoubtedly play a part in making us more rounded players, our natural abilities will always be where we will shine. Applying education and training in the areas of our strengths can be magical. Yet, so often we do the opposite – apply training to our areas of weakness. Although it’s a little counter-intuitive, working on strengths can build better performance. As teams large and small are asked to deliver more with less, tension can rise and tempers fray. Finding a few experts on your team and encouraging them could unleash hidden potential. Try it – ask people who know you what they think you do best, and what you do less well. Listen with an open mind and write down all the comments (or get them to write them down in their own words). Then watch yourself at work and see what you agree with, and what you disagree with. Over a couple of months keep revisiting the comments and look for evidence of what you are doing well, and where you are weak. Then work on your strengths and measure the difference. Figure out how to use your strengths to make a quantifiable difference in you business. Is the applause more rapturous, loader and longer? We all need moonbeams sprinkled on our work from time to time. Find some opportunities to be your own Lilac Fairy and bring a Sleeping Beauty or two alive with your own particular expertise. Leo Burnett was a copywriter who built a successful world-wide advertising agency that was still going strong during the time I worked in the business. Much has changed since the heady days of the ‘80’s but I’m sure one thing hasn’t – the reliance on data to drive decisions and create value for businesses. I find the giant personalities of advertising an inspiration – David Ogilvy has a well earned place on my bookshelf and was a real advocate of data-driven marketing. But I digress already – because Leo Burnett’s quotation captures the essence of what is on my mind this morning – that of excellence. I was at the ballet last night. I saw a production of Romeo and Juliet that I had not seen before. There were some magnificent dancers and dances, but there were also some little slip-ups. Of course, the joy of a live performance is just that – you live the highs and lows with the performers; it is not sanitised as it would be for television. For me, ballet is a treasure trove of riches. It pushes the human body beyond what should be possible to produce a spectacle so lovely that it takes my breath away. And last night it was all set to Prokofiev’s magnificent and memorable music. It is still going round in my head now. The creation of a ballet reaches for the stars. But not all ballet companies are created equal. Not all have the same standards. Some reach, and attain, higher standards than others. Which was what got me thinking about Performance Management in relation to the performing arts. Ballet companies rely on businesses and business people to bring their productions to paying audiences. And those businesses also have standards as to what they accept or do not. Last night there were many empty seats – a crying shame considering the expense of the production. This is where data and analytics meet star-reaching. I am sure there were many more ballet fans who might have been tempted out in the snow with the right offer. And the ballet company and theatre would have benefited even if the tickets were sold at a reduced rate. The right business intelligence system could have done that – to the benefit of so many.